Through the Swedish Institute’s funding for Third Country Participation, actors from Russia and Belarus have been able to participate in an EU-funded project that has worked with acidification of slurry in the countries around the Baltic Sea. The technology contributes to the reduction of the eutrophication of the Baltic Sea. Thanks to the expanded cooperation, the groundwork has been done in order to be able to continue working with field trials in Russia and Belarus. Agriculture’s leakage of nutrients to lakes and oceans has been pointed out as an important source of eutrophication and the Baltic Sea algal blooms. Most of the airborne eutrophication of the Baltic Sea is due to ammonia emissions almost all of which come from livestock manure. In Denmark, a technique has been used for a long time to add sulfuric acid in animal manure slurry prior to spreading it on the fields. By doing this, you get less ammonia emissions and more nitrogen remains in the fertilizer which leads to higher harvest. In the EU-funded project Baltic Slurry Acidification, seventeen actors from all the EU-countries around the Baltic Sea have collaborated for three years to make this so called slurry acidification technique known and used. 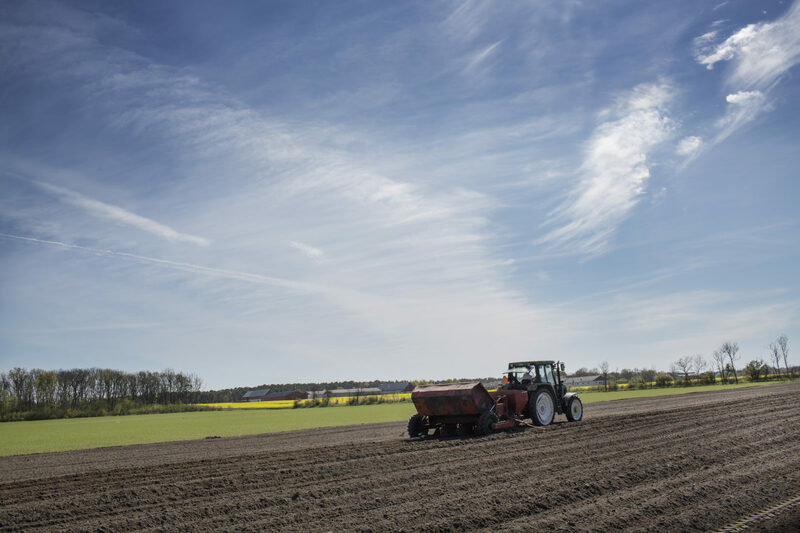 The project was recently finalized and Erik Sindhöj, project manager at RISE for Baltic Slurry Acidification, says that the project has shown that acidification of slurry is possible on farm level in all countries around the Baltic Sea. By conducting field trials in the project’s EU countries, the project has also shown that it is an effective technique for reducing ammonia departure, which contributes to reduced eutrophication of the Baltic Sea. Through the Swedish Institute’s funding programme Third Country Participation, actors from Russia and Belarus have been able to participate in the project. Russian and Belarusian participants have, according to Erik Sindhöj, been very interested in the project and have analyzed whether it is possible to apply slurry acidification techniques to current manure treatment on farms in their countries. They have also evaluated whether the legislation in each country could facilitate or prevent the implementation of acidification techniques. In addition, they have formulated suggestions on how the authorities in each country could support the implementation of acidification techniques. Erik Sindhöj tells us that they hope to continue the cooperation with Russia and Belarus. The ambition is to be able to find a more practical collaboration where they can start testing slurry acidification techniques with field trials in Russia and Belarus. Read more about the Swedish Institute’s funding programme Third Country Participation in the Baltic Sea region which recently launched a new call.